In this info-overloaded rat-race world, it can be next to impossible to find some “me time”. Noisy gyms, gossipy office workers, and city living can all take its toll. Headphones give us some much needed audio sanctuary, but if you need to wear them all the time, they can really do a number on your head. If only there was some way to make your headphones more comfortable. Obviously, there are many ways to make your headphones less of a torture device or this would be a very short article. So let’s check out some methods to relieve that headphone headache. Earbud-style headphones are the most subtle and portable style of personal audio. There are some truly great units on the market. The problem is that they also tend to be the least comfortable. The main reason for this is how they actually interface with your ears. On-ear and over-ear headphones can all get away with the same sort of design because at that level all humans are more or less the same. When it comes to our actual earholes though, each person is pretty much unique. In fact, chances are that your own two ears have earholes that are significantly different in size and shape. Not so much that you can tell by eye, but enough to feel it when using earbuds. Clearly, the most important factor in earbud comfort is the silicone or foam tip that holds it in your ear. The good news is that most good earbuds come with a variety of tips in the box. That means the first step in making them more comfortable is ensuring that you choose the right tips for your ears. More importantly, you can use different tips for your left and right ear. Otherwise, you may have the situation where one ear is fitted perfectly, while the other is too tight or loose. The idea is to get a good audio seal without irritating or stretching the earhole. The optimal solution is obviously to get custom earbud tips that are molded to your earhole and ear canal. That’s what professional musicians do when it comes to in-ear monitors. Not only us this super-comfortable, it will give you the best bass response and sound isolation. Having professionally molded tips made is way too expensive for most people, but you can go the DIY route and make your own molded silicon tips. There’s an alternative to custom molded tips that’s becoming more and more popular: memory foam. Unlike silicone, memory foam makes your headphones more comfortable by taking on the shape of your earhole. They’re surprisingly affordable and you can get ones for a wide variety of earbud models from companies like Comply Foam. This is a solution that probably represents the best of all worlds for most people. If you’re not willing to spend cash on the problem, you can also achieve similar results by doing a DIY modification with some foam earplugs. Earbuds represent a choice of compromise. Modern earbuds are fantastic pieces of tech, but if you can make use of on-ear or over-the-ear headphones they’ll generally give you both better audio and more comfort. That doesn’t mean they’re without any comfort problems of their own. On-ear headphones in particular can put pressure on your ears and make them ache after an hour or two. Although most big headphones are adjustable, out of the box the headband itself may be so tight that it puts pressure on the sides of your head. Over time the band will stretch out and become more comfortable, but why should your head be the test dummy? Over time the band will stretch out and become more comfortable, but why should your head be the test dummy? A tried and tested trick is to take the box your new headphones came in and stretch the headphones over it for a while. So the next time you wear them it’s not like putting your skull in a vice. You’ve found an affordable set of headphones that sound great, but the padding on the headband is a little thin. You don’t have to be satisfied with what you get. All you need to do is order spare padding meant for a much more expensive set of headphones and glue it in as a replacement. All you need to do is order spare padding meant for a much more expensive set of headphones and glue it in as a replacement. If your headphones have thin earpads or ones made from sweaty and uncomfortable leather, you can also do the same trick there. You will, however, need a steady hand and some skill with glue and a craft knife, since not all headphone earpads are designed to be removed. You will, however, need a steady hand and some skill with glue and a craft knife, since not all headphone earpads are designed to be removed. A good strategy is to look for a YouTube video or online guide for your specific model to see how other people have swapped out the pads. It’s also a good way to know which replacement pads work best for that model. The best way to make your headphones more comfortable is just to buy ones that are comfortable in the first place. This implies that you should try them before you buy them.That’s not really an option with earbuds, but as you’ve seen we can do the most to make those comfortable after the fact. That’s not really an option with earbuds, but as you’ve seen we can do the most to make those comfortable after the fact. With full-sized headphones it’s a good idea to actually head over to a physical store and try on some display models. Alternatively, you can get a better idea of how headphones will fit by measure how the size of your head over the top where the band will go. Also measure the length, width and depth of your outer ear. You can then ensure that the cups will be deep enough and large enough to accommodate your ears. Also measure the length, width and depth of your outer ear. You can then ensure that the cups will be deep enough and large enough to accommodate your ears. Once you’ve got the perfect comfort level for your headphones, you’ll never want to take them off. 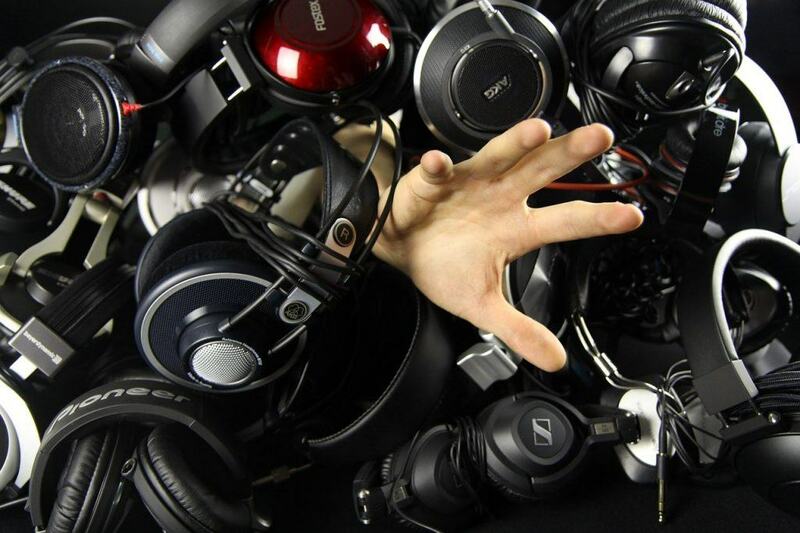 A perfectly fitted set of headphones is worth its weight in gold, so hang on to them while you can!